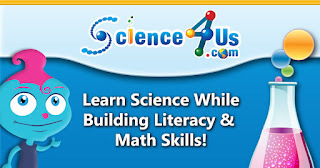 Science4Us is an exciting and interactive online science curriculum for grades K-2. Science4Us is standards-based and inclusive of the Common Core State standards in Math and Language Arts. It also inclusive of the Next Generation Science Standards (NGSS). Teachers and students are guided through animated lessons, songs, games and cross-curricular activities in a sequence developed using the 5E Instructional Model: Engage, Explore, Explain, Elaborate, and Evaluate. Embedded professional development provides teachers with the opportunity to review content, common student misconceptions, math and literature integration, and best practices as needed. Implementation is easy; there are no materials to order or software to download. All of the lessons, games, hands-on activities and teacher support materials are accessed digitally. Delivery of Science4Us is flexible. The curriculum can be delivered as a whole class using a single computer and projector, in small groups at centers, or individually with students logging in at school or home. The Science4Us curriculum covers traditional physical, life, Earth and space science content in a way that is designed to keep today’s digital natives engaged. For more information, visit http://www.science4us.com/. 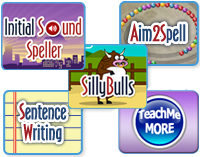 I have used VocabularySpellingCity with the students in my classroom for over six years. In fact, my entire school now has premium memberships for every teacher. Students take their weekly spelling tests online after practicing their words by playing the games at home and at school. They love the iPad app. Each child has his/her own username and password, so he/she has direct access to the site from any Internet-enabled device. I was so impressed with the site and how it affected student learning that I shared it through various social media platforms. I am now compensated to work with VocabularySpellingCity after school as a social media consultant. 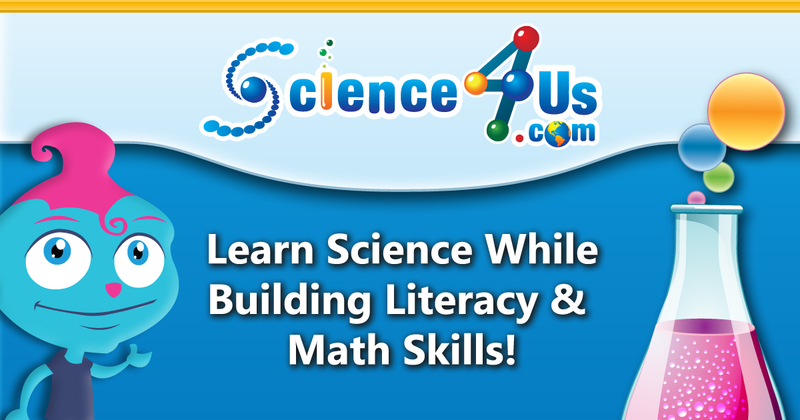 Science4Us is a sister site to VocabularySpellingCity. Can a PowerPoint be edited on a Chromebook and opened on a desktop computer. The answer is YES! 1. Download the PowerPoint needed. 2. Open drive.google.com, and log in with your Google account. 3. Click the red box labeled NEW at the top left of the screen. 5. Select CANCEL on the CHOOSE A THEME screen. 6. Select FILE. Then, choose IMPORT SLIDES. 7. On the screen that pops up, select UPLOAD at the top. Click the blue box labeled SELECT A FILE FROM YOUR COMPUTER. 8. Select the PowerPoint you downloaded. 9. Once it finishes uploading, next to SELECT SLIDES on the top right, choose ALL and then IMPORT SLIDES. 10. You can now click the slides on the left that you do not want and delete with the delete button on your computer. It automatically saves your changes. 11. Where it says UNTITLED PRESENTATION at the top, click on it and rename it to the PowerPoint name. 12. When you get ready to use the presentation, log back into drive.google.com on your desktop computer. You will see the presentation in the list of files. Click the PRESENT button at the top right to make it full screen. 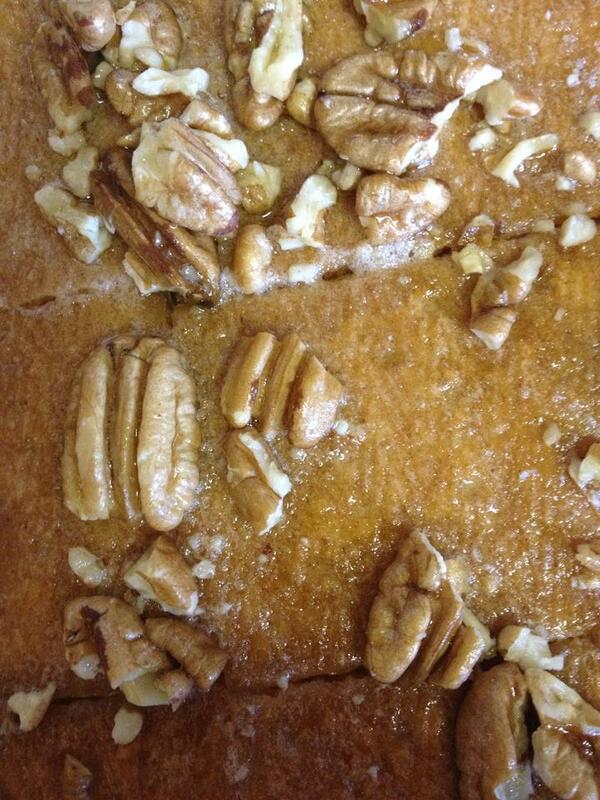 I love to bake for others. I want people to know that I appreciate them. By making something homemade, they usually feel the extra effort in order to make them feel special. However, I don't always have time to bake. 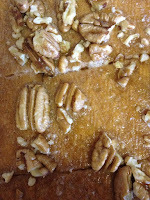 The following recipe is one of my favorite quick fixes. It is easy to make, easy to travel, and easy to store. There is no refrigeration required. Line a cookie sheet with foil. Place graham crackers tightly onto cookie sheet. You may need to trim some of the crackers to fit. Do not break the larger pieces apart. Leave them whole. In a saucepan, melt the butter and sugar to a boil over medium heat. Stir continuously for approximately 3 minutes. Carefully pour the mixture over the graham crackers. Spread it as evenly as you can. Place the pan in the oven. Bake for approximately 8 minutes. Watch them carefully not to burn. Cool completely, and then, break into pieces. We all look for great websites to use with the students in our classrooms. As the instructional partner for an elementary school, I get the joy of visiting all classrooms on a regular basis. This allows me to see and hear from teachers, students, and parents what their favorites resources are. Overwhelmingly, one of the favorites at my school is VocabularySpellingCity. 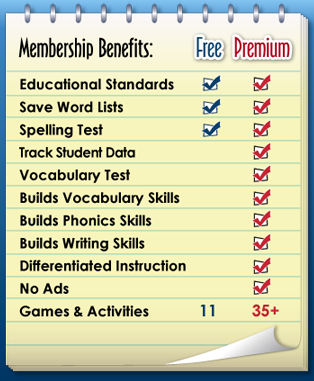 VocabularySpellingCity is an award-winning, game-based learning program for vocabulary, spelling, phonics, writing, and language arts that gives you the ability to use any word list with more than 35 learning activities, assessments, and games. Districts, schools, and families use K12 educational service worldwide with more than 5 million active students. The site correlates with educational standards, including Common Core, state, and international. There are also apps for iPhones, iPads, and Android devices available. Be sure to visit http://www.spellingcity.com/teacher-resources.html featuring premade word lists and lessons. My favorite part is the precreated lists for our new reading series. My teachers simply have to import the lists into their accounts. No need for them to spend time entering the words. 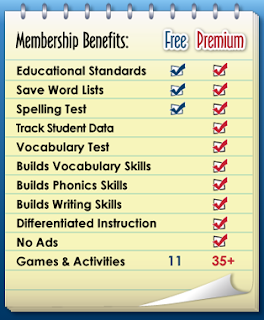 For Back to School, VocabularySpellingCity is offering a free trial of their Premium Membership. 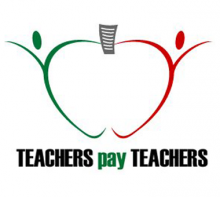 Visit http://www.spellingcity.com/teachers-overview.html for more information. Give it a try, and let me know what you think. 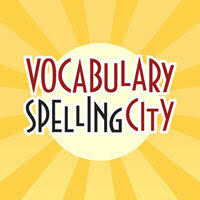 I have used VocabularySpellingCity with the students in my classroom for over six years. In fact, my entire school now has premium memberships for every teacher. Students take their weekly spelling tests online after practicing their words by playing the games at home and at school. They love the iPad app. Each child has his/her own username and password, so he/she has direct access to the site from any internet-enabled device. I was so impressed with the site and how it affected student learning that I shared it through various social media platforms. I am now compensated to work with VocabularySpellingCity after school as a social media consultant. 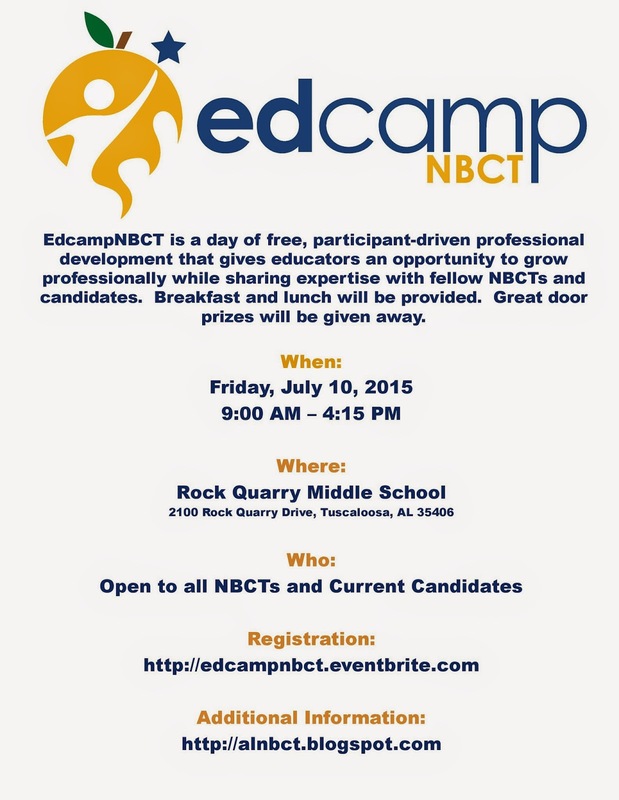 We invite all National Board Certified Teachers and candidates to join us for a day of professional learning and networking at EdcampNBCT. Life became busy, and my blog was pushed to the wayside. There is something special about connecting with readers on topics that we find important. Nothing compares to having a network where we can share and gather ideas, provide a support for our day-to-day tasks, have a laugh, or learn something new. In the past couple of weeks, I have had an urge to become an avid blogger again. However, knowing myself, I need a plan. The best plan for me would be themed days. I wouldn't necessarily post every day of every week, but it would provide me a guide of ideas to post. This is where I need your help. What would you like to see posted? What themes would you like? Here are some of my ideas. Be sure to add, comment, or question. Thank you for your help and continued support! I love cool apps. This is one of my new favorites because it is so fun. Even better, it is free. 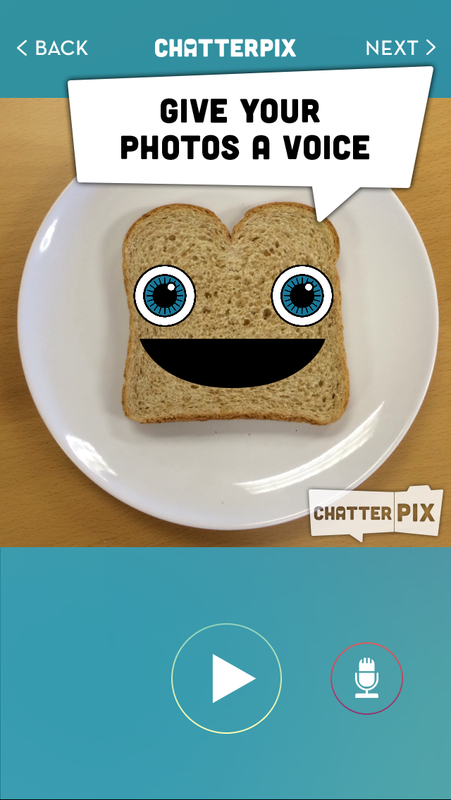 Chatterpix allows you to give your pictures a voice. Download Chatterpix from http://www.duckduckmoose.com/educational-iphone-itouch-apps-for-kids/chatterpix/. Once finished, you can share your Chatterpix on Youtube, Facebook, via email, or to your photos to share in a text. What do you think of Chatterpix?